When Apple launched the iPhone 5s and iPhone 5c earlier this fall, the company also debuted accompanying cases. To match the plastic colors of the 5c, Apple launched a “Crocs-like” case for the phone with holes on the back. The iPhone 5s launched alongside a leather case in multiple colors. Now, technology writer Michael Andrew shares photos of what he claims to be a prototype version of the 5c case for the 5s. 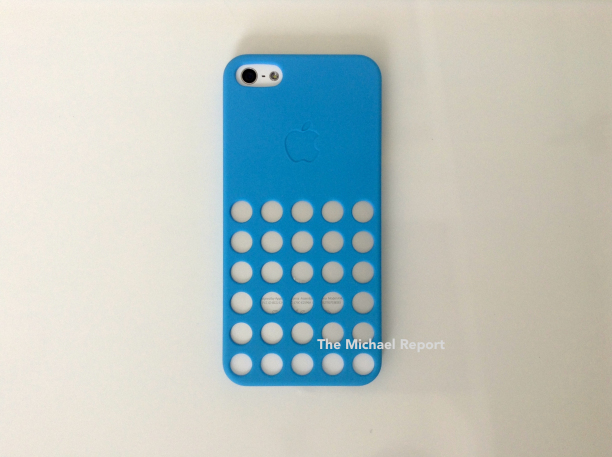 Instead of the seven-by-five grid of holes that is on the back of the released iPhone 5C case, the case for the iPhone 5/5S sports a subtly different six-by-five grid of holes. Unlike on the iPhone 5C case, the top and bottom of the iPhone 5/5S is not protected by the silicon case.